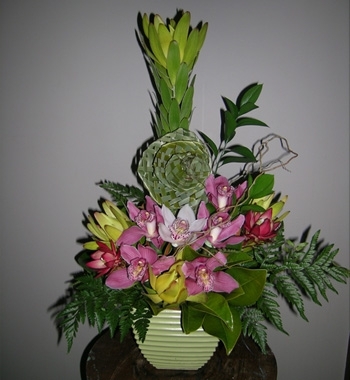 Combination of beautiful cymbidium orchids, foliage, and flax flowers in a ceramic container ( size determined by size of container). Medium shown. Container size determines price.